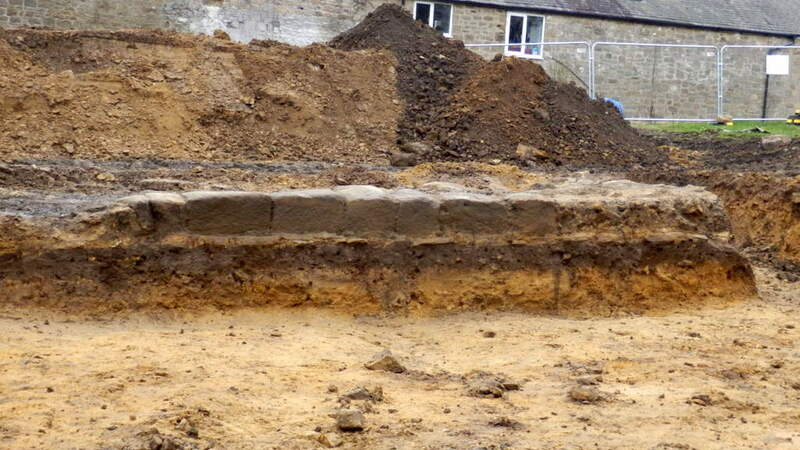 Archaeologist clears soil from eastern section of the rubble core of uncovered section of Hadrian's Wall. Facing stones of the lower course only found on the N side, to the right of the photo. A Curtis (2019). 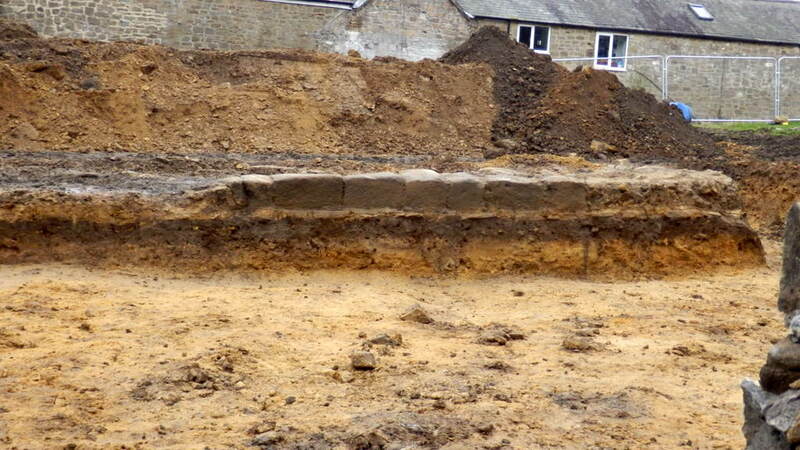 View E along line of newly uncovered section of Hadrian's Wall. In the distance is Hexham Road climbing over Great Hill on the way to Throckley. The conserved section of the Wall is located to the right of the road. Photo A Curtis (2019). 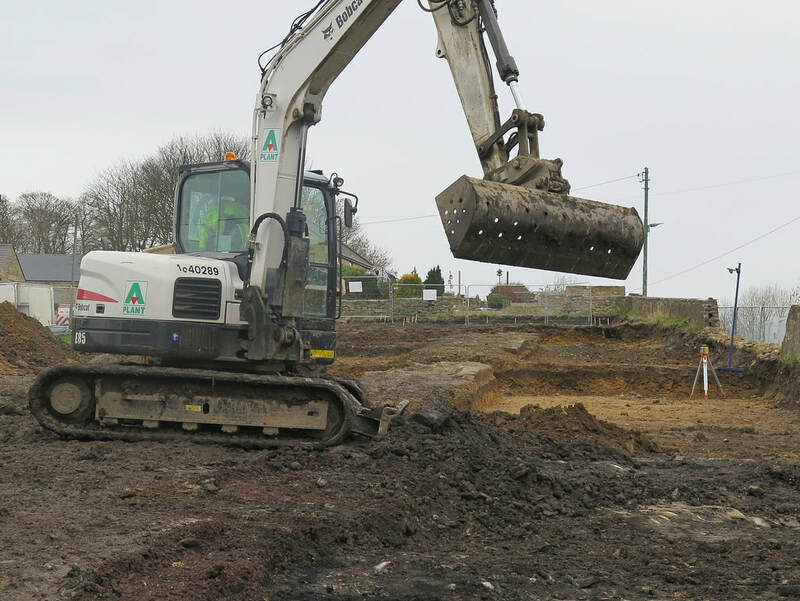 Below and just beyond the digger lies the newly uncovered section of Hadrian's Wall viewed to the W. Tank House can be seen behind the digger cab. Only the lower course of facing stones remain on the N side of the Wall, set in clay on a flagged base. Photo A Curtis (2019). 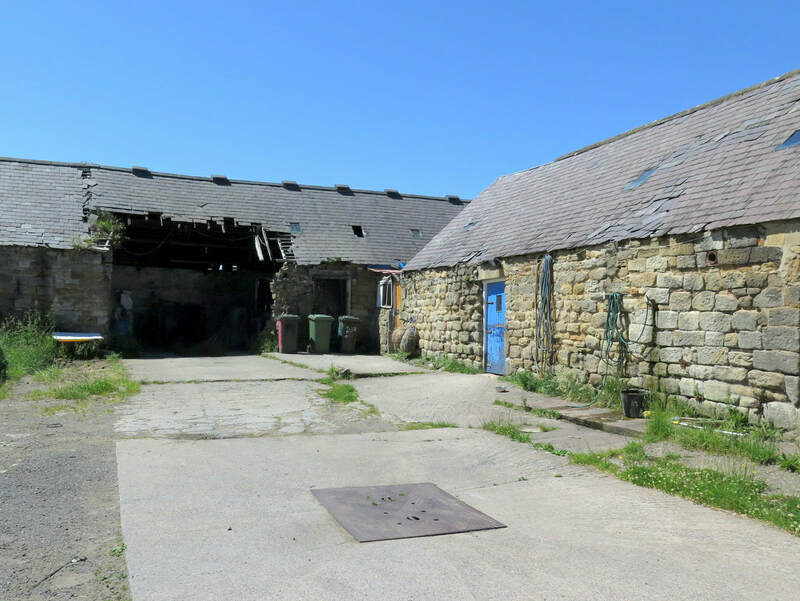 Photos below, taken in June 2017, are of the old Town Farm (Tulip's Yard) before demolition of the old buildings. 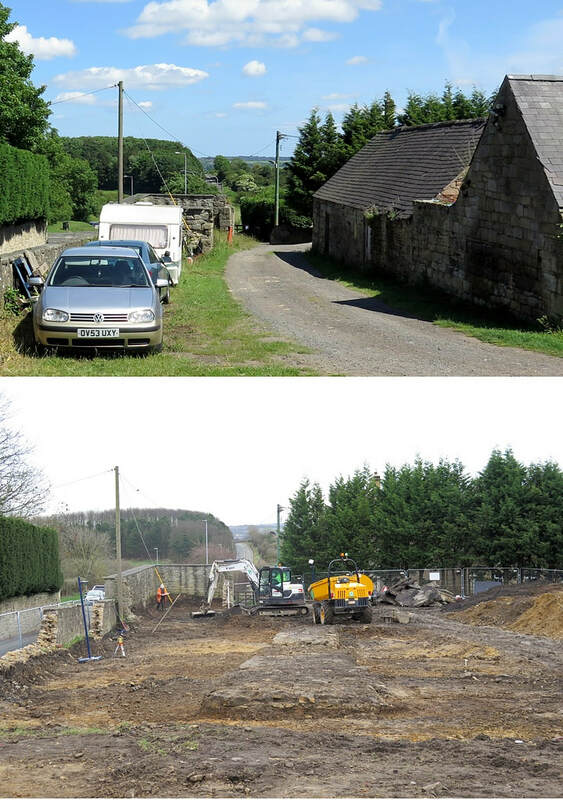 Photos below of the revealed section of Hadrian's Wall taken by Bill Pointer 8th March 2019. Location aerial view. Google Earth (2019). 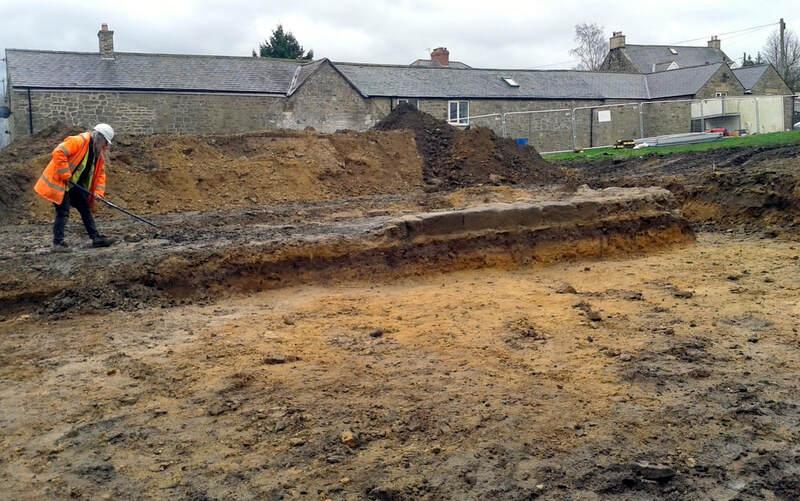 Those who have followed developments of the former site of Town Farm, later Tulip’s Haulage Yard, on the East side of the village will have seen in the past weeks, the old, derelict buildings of the farmstead demolished, a new section of Hadrian’s Wall briefly found and cleared, and the site prepared for the building of five new bungalows. 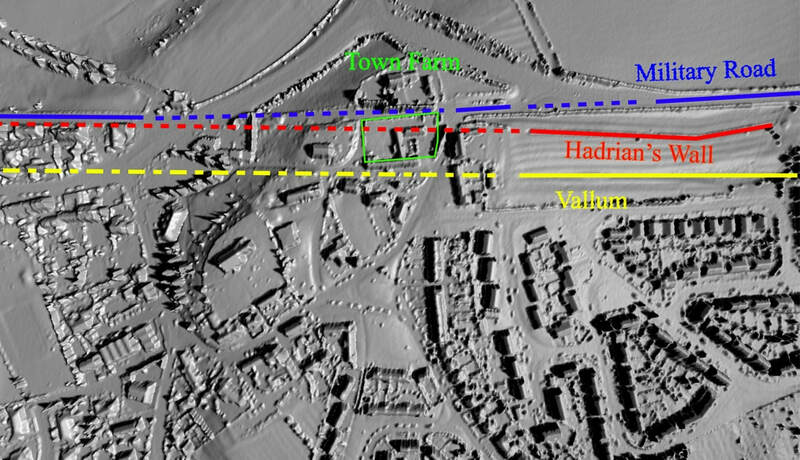 I don’t know much about the early history of Town Farm but have speculated that it was in place in 1750 requiring the slight adjustment of General Wade’s Military Road from using the line (and foundations) of Hadrian’s Wall, west from Great Hill. This led to the preserved section of the Wall otherwise largely destroyed and covered by the road. This road, the first properly constructed road in Northumberland since Roman times, became the Newcastle to Carlisle Turnpike and later the A69, before it was abandoned and the bypass constructed. Beside the old road, below the retaining wall of the Town Farm site, still stands a milestone recording a distance of 7 miles from Newcastle’s West gate. It is probably one of the original milestones of the turnpike road from around 1780. The original farm may have adjoined the old buildings, incorporating both farmhouse and barn as one long building. The two-storey farmhouse still standing on the north side of the old road, previously Four Winds and now Glanville House, was probably a much later addition. At one time, like much of the village, it was owned by the Clayton family. The farmer in 1901 was William Stephenson who lived in the farmhouse with his wife Sarah and six children. William had been born at Rudchester and was nephew of William Stephenson who founded Throckley Brick Works and whose son, Sir William Haswell Stephenson of the Throckley Coal Company was seven times Lord Mayor of Newcastle. In 1901 a gamekeeper, George Charlton, lived in what is now Keepers Cottage. He died in 1931 and has a gravestone in St Andrew’s churchyard erected by Brigadier General Sir Loftus Bates of Heddon Hall ‘in memory of an old friend’. 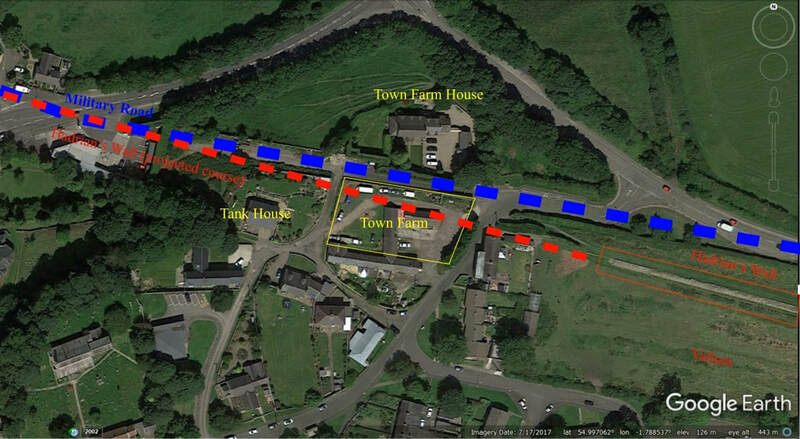 There was a large fire at Town Farm in 1913 which destroyed buildings and livestock. 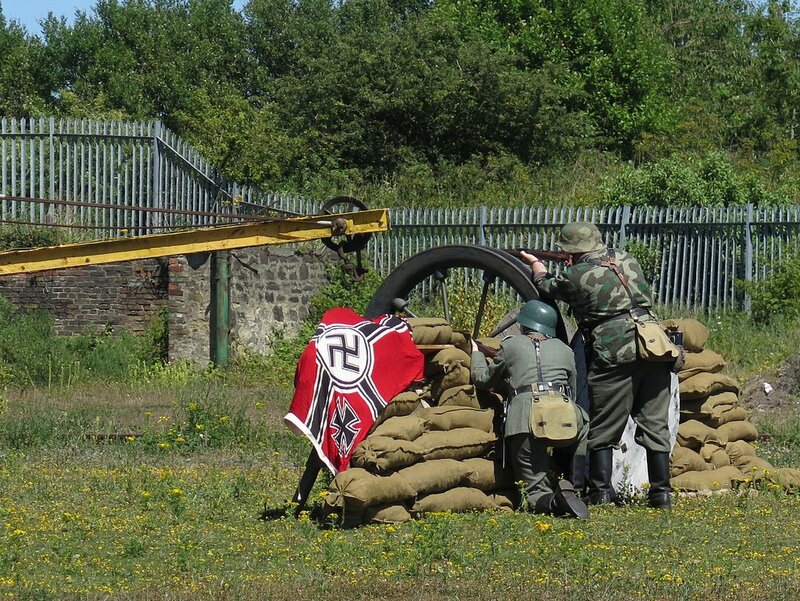 It was fought by local people until the fire brigade arrived from Newburn, alerted by a youth on a bicycle. 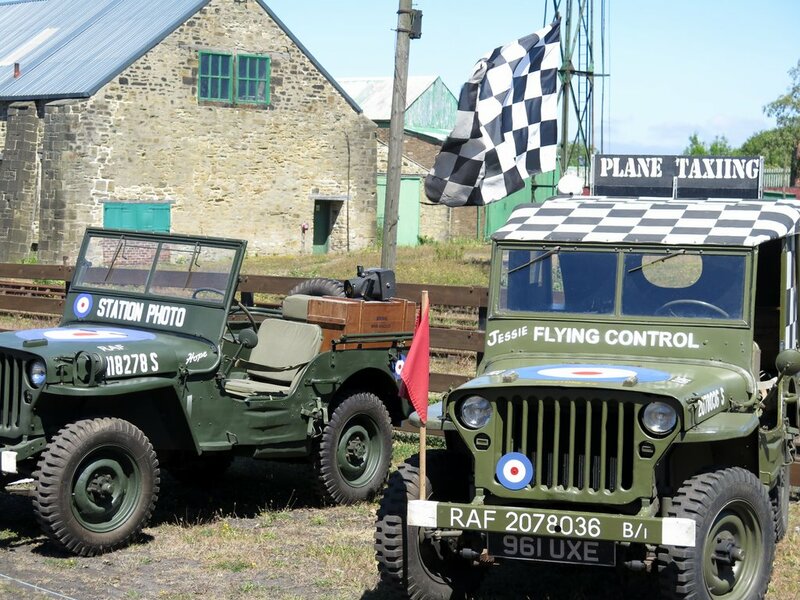 In 1918 it was bought for £3000, along with many of the other village properties, by Sir James Knott who had a vision of turning Heddon into a model village. 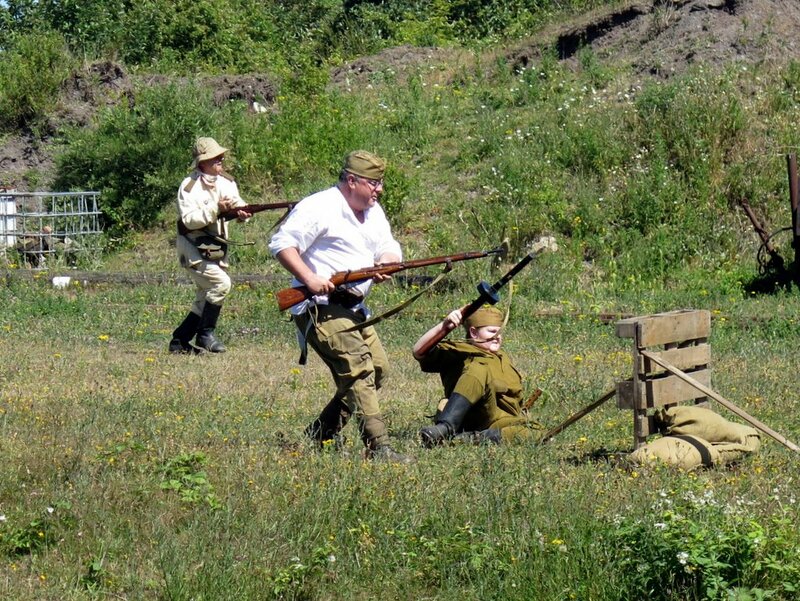 However, after the events of the First War and loss of his two sons, his interest in the village came to an end. 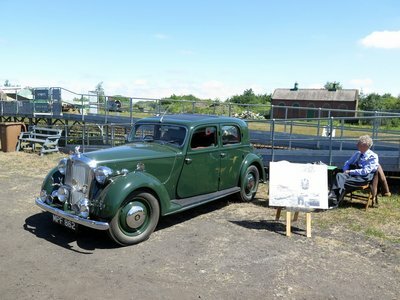 Town Farm was Lot 1 in his sale of 1924. 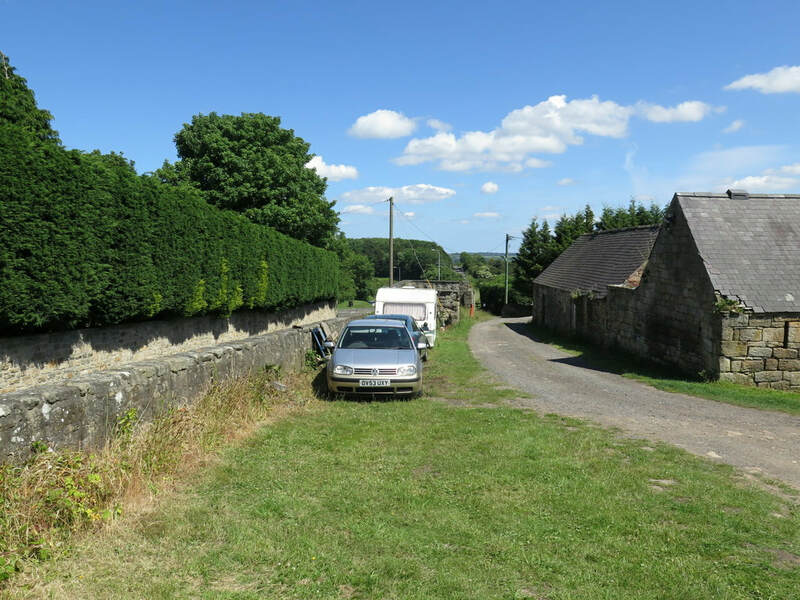 Town Farm, on the site of the Roman Wall, including 38 acres of old grass land, was sold to Adam and James Hedley for £2800. They were already faming Bays Leap, bought from the Claytons in 1918. 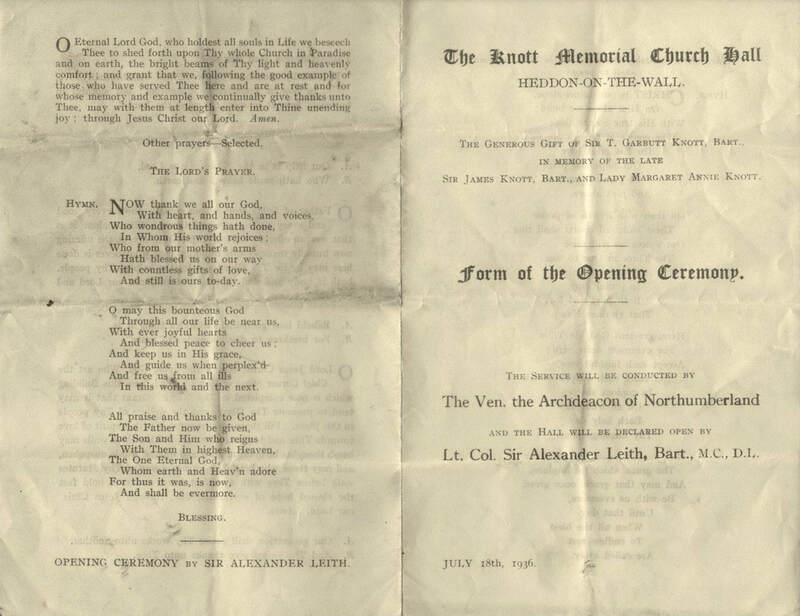 James Knott retained the small field containing the currently preserved section of Hadrian’s Wall which he later instructed to be gifted to the Society of Antiquaries of Newcastle upon Tyne. Around 1927, Town Farm was rented from the Hedleys by William Ward Sanderson. 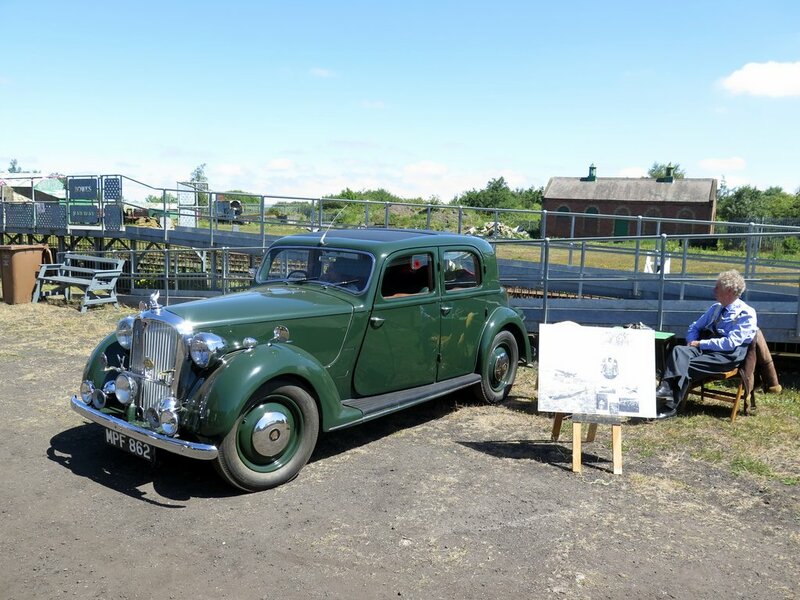 He lived in the farmhouse and farmed the fields on the east side of the village, milking cows in a parlour at the farmstead, cutting hay on the site of the Roman Wall and running a local shop selling cigarettes and confectionary. 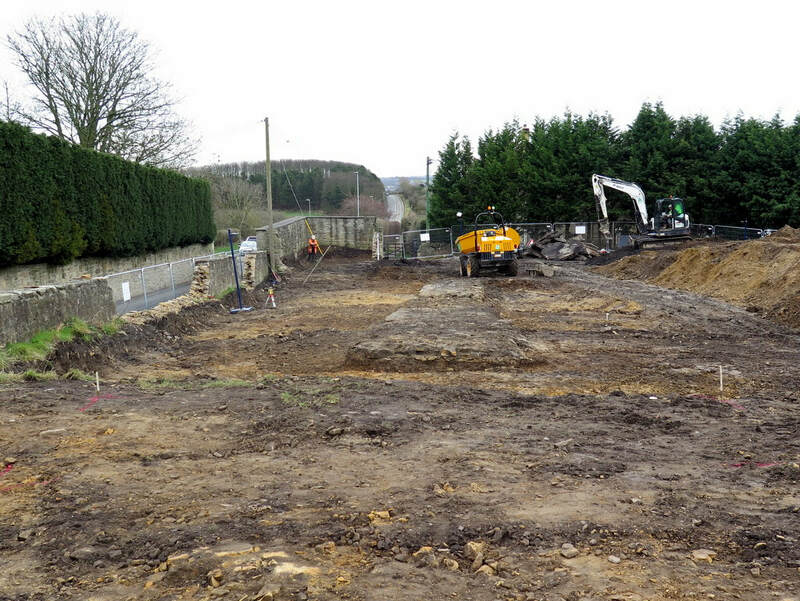 The end of farming came when the land was sold for the building of the Vallum housing estate in the 1950s. 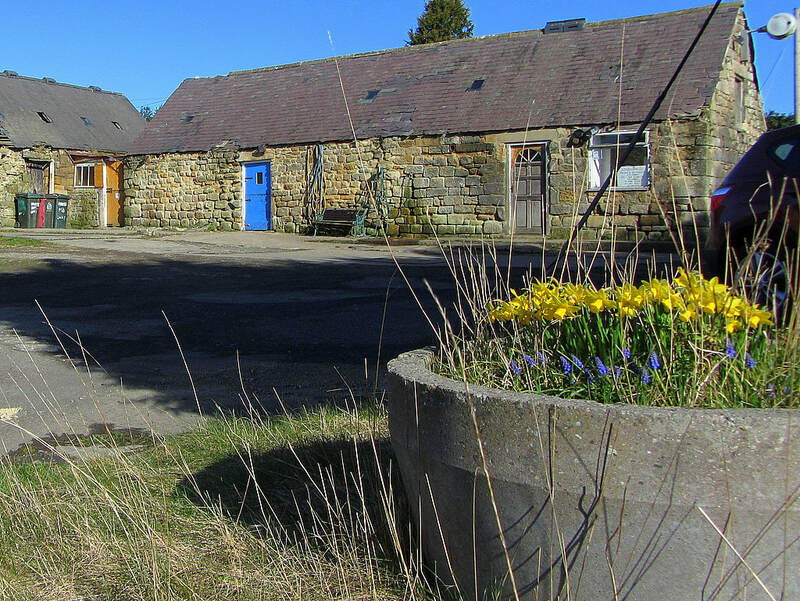 The farm buildings became part of Tulip’s Yard, base for a successful haulage company. The wall of the farm next to the old road sported adverts for the local shop and a Heddon on the Wall road-sign on a photo of army cadets resting on the grass below taken around 1950. Part of this photo was used on the album of The Eton Rifles by The Jam in 1979. 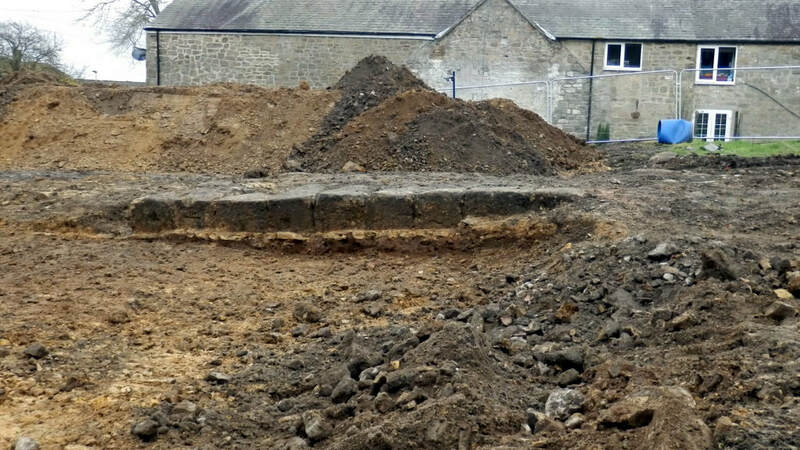 Demolition of the farm buildings in the past weeks and thorough archaeological excavation of the site has revealed the continuation of Hadrian’s Wall in two runs of large stones marking the lower course of its north face, and rubble core set in clay remaining below the old buildings. Most of the stones had been previously robbed and presumably reused elsewhere, perhaps including the church and even the buildings of Town Farm. Milecastle 12, known by measurement to be in this vicinity, hasn’t yet been found and may have been further west, perhaps under the garden north of Tank House. 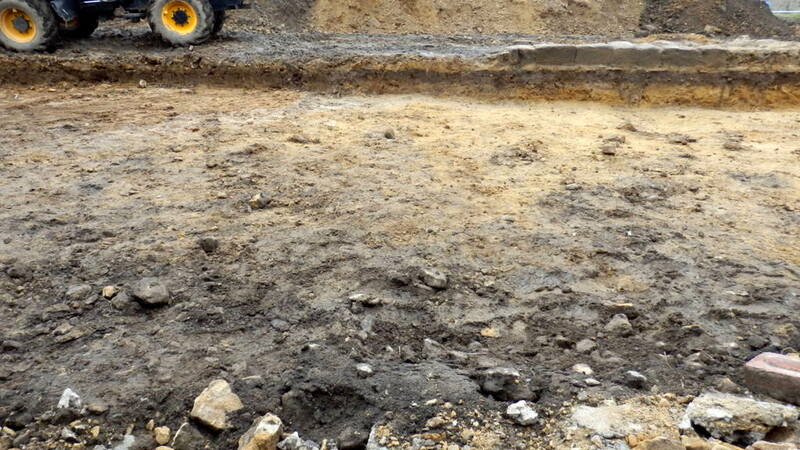 Similar remains of the Wall are known to exist below the tarmac of General Wade's road something that causes all sorts of problems for utility companies wanting to dig holes. 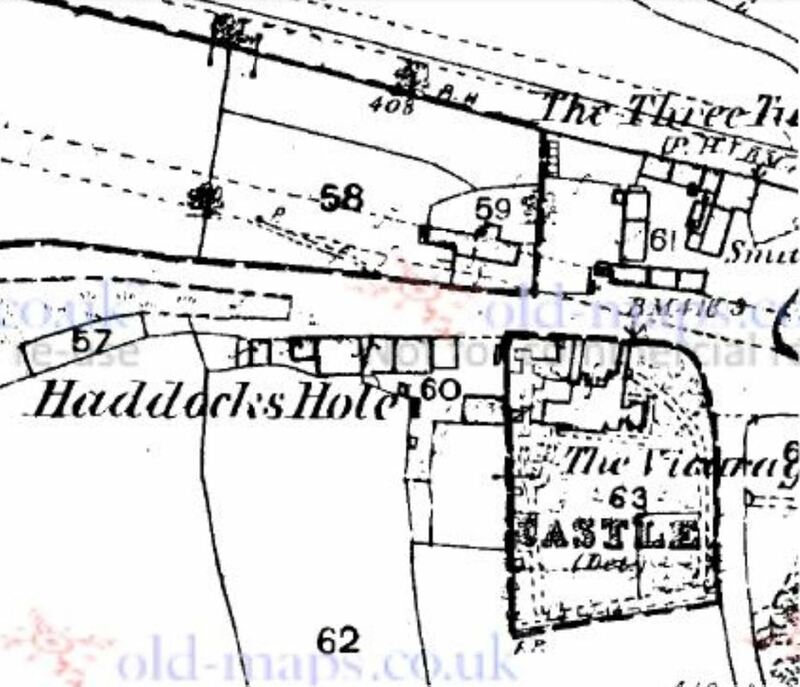 Cadwallader Bates in his History of Heddon published 1886: This mile-castle probably stood to the east of the pond, on the hill-top now covered with ruins of cottages. The Rev. G. Bowlker, vicar of Heddon, has heard that the people who lived in these cottages, in digging a hole in front of them for burying a horse, came on old foundations and what they described as a grave-stone with letters on it. This they promptly broke up. 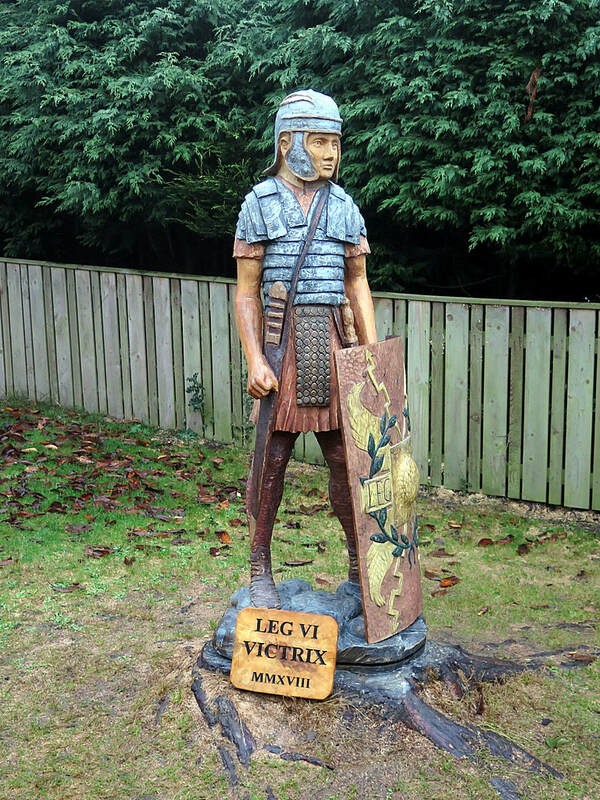 Nothing has been agreed to date but interest has been expressed in the village obtaining at least some of the Hadrian’s Wall stones if they are not wanted elsewhere, perhaps to enhance the area around the Victrix sculpture, letting us put the centurion close to a little part of the fabric of the original Roman Wall. 1m LIDAR 3D. houseprices.io lab (2019). Before & after. Photos A Curtis. Rear of Knott Memorial Hall. 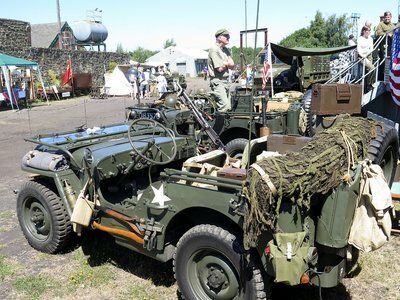 Photo A Curtis 2011. 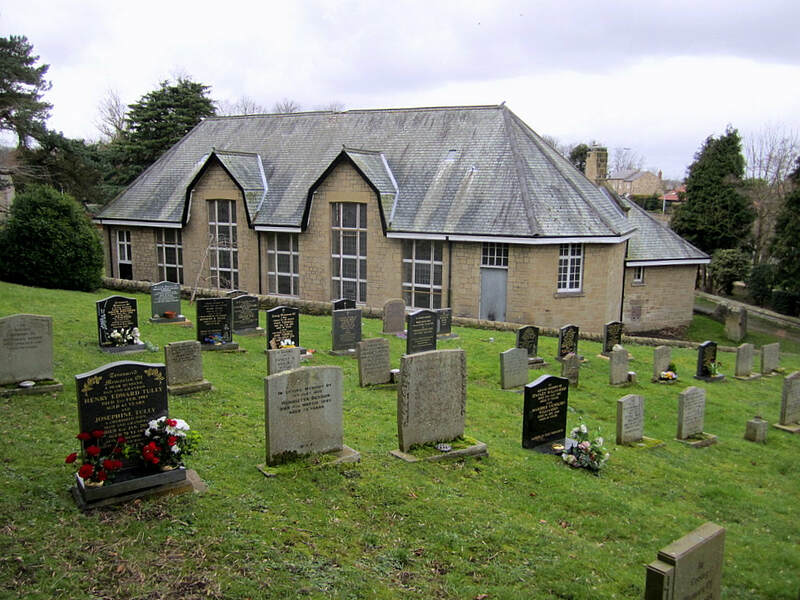 The Knott Memorial Hall was given to the village of Heddon by Sir T. Garbutt Knott, in memory of his parents, Sir James and Lady Margaret Annie Knott. 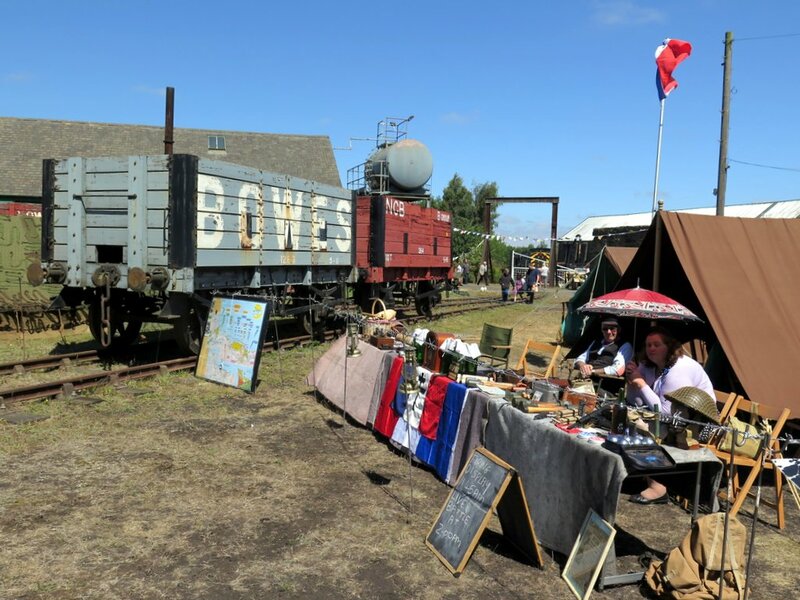 Initially the hall was to be a more elaborate construction, the initial plans of 1935 included higher wings at the north east and south west corners to provide a news and games room at one end and a caretakers flat at the other. In view of the relatively small size of the village, at that time, and the existing news and games room at the Men's Institute, and the availability of other meeting rooms, it was decided to scale down the plans and use the money saved to create an endowment fund to assist with the future upkeep of the hall. This suggestion was agreed to by Sir Garbutt and his legal advisers, and the Hall in its present form was subsequently built in 1936. The site upon which it was built formed part of the Church Banks, this had been for many years previous an unofficial playground for the village children. Mr. L.Walton-Taylor of Heddon and Newcastle was the architect and the Hall was built by Messrs. Lowry of Newcastle. 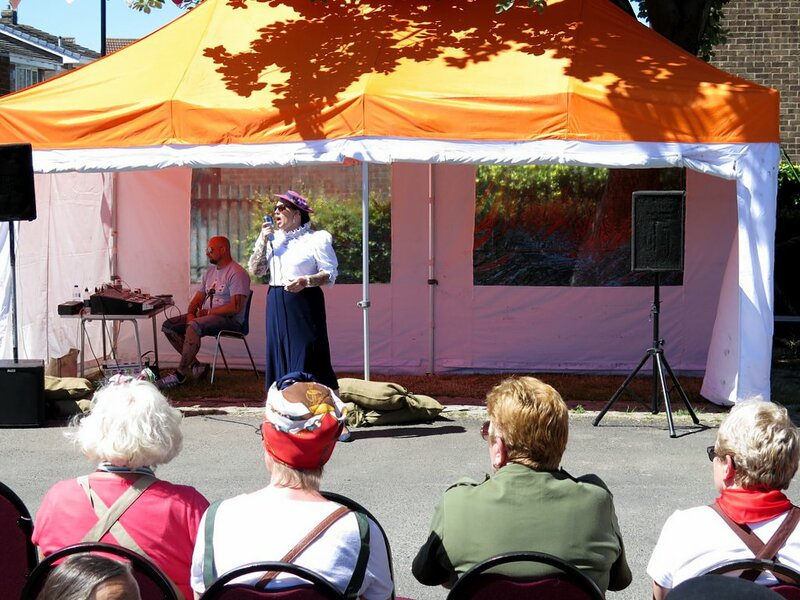 The original official opening ceremony was to have taken place on Saturday the 18th July, 1936 at 3pm by Lt.Col. Sir Alexander Leith, Bart, M.C; D.L, and the dedication service by the Venerable Archdeacon of Northumberland, a tea to be provided for all invited guests. The tragic death of the vicar, The Rev. Harold Nixon, in a motoring accident whilst on holiday in Wales, brought a sudden cancellation of these plans. 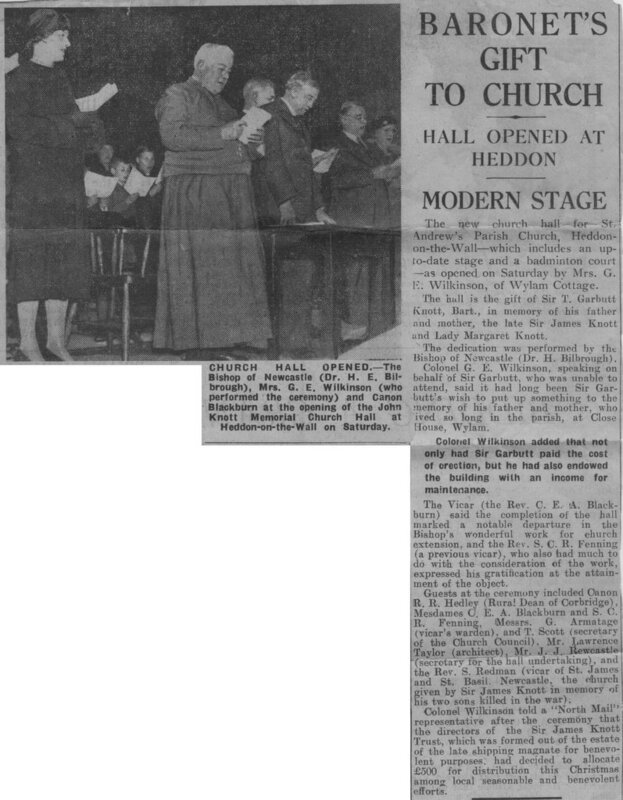 It was later officially opened by Mrs. G.E. Wilkinson of Wylam and dedicated by the Lord Bishop Billrough, of Newcastle, on the 24th October, 1936. 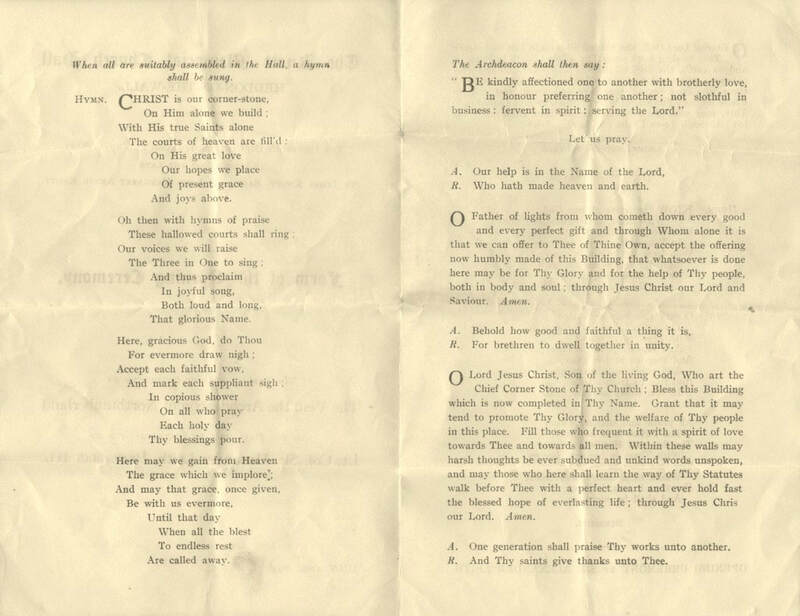 Program for original opening ceremony planned for 18th July 1936. St Andrew's Church, Heddon on the Wall, from the Vicarage. Real Photo Postcard c1907. The With thanks to Caroline and Lawence Scott for drawing my attention to this photo. 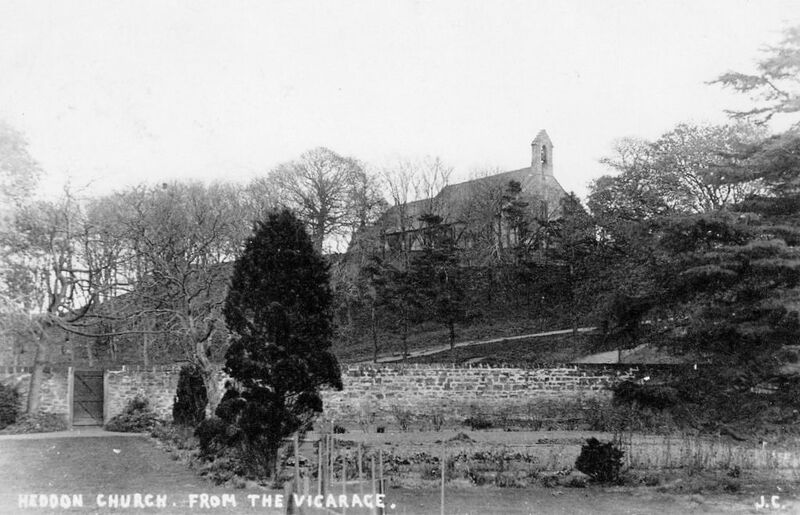 The view of the church is from within the Old Vicarage garden, approximately where the modern Vicarage now stands. The direction pointed by the camera is to the south-east and would now be blocked by the Knott Memorial Hall on Towne Gate which was built in 1936. The path up to the church-yard from behind the hall appears to have been paved. It is still there but now a grass sward. 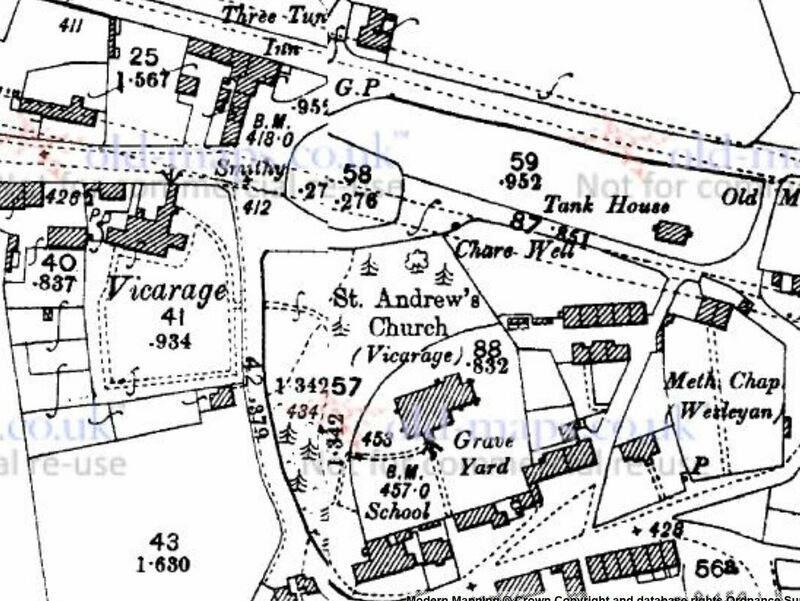 The map below shows the side door from the Vicarage garden (probably that shown in the photo) directly opposite the track which descends from the church. Where the track meets the road (Towne Gate) is the present location of the Knott Memorial Hall which was built in 1936. I quote the following story about one of the Upper Coquetdale landowners at the time of the Ordnance Survey in the early 1860s as it fits with a project on transcribing the OS Name Books for Northumberland that I am involved with at the moment. The story is part of a short biography of Mr. Carr, in a regular section called Men of Mark ‘twirt Tyne & Tweed in The Monthly Chronicle of North-Country Lore and Legend Vol. 3 (1887-1891)’, p. 385-387. You can read this, and other works during the life of Ralph Carr for yourself here. RALPH CARR-ELLISON (1805-1884, originally Ralph Carr) was the eldest son of John Carr, Esq. of Dunston Hill and Hedgeley. Mr. Carr, 'landowner, antiquary and naturalist', was one of the few men who ever made the Ordnance Survey officials admit an error in topographical nomenclature. He owned the estate of Makenden at the head of Coquet, which runs up to what is locally known as "the Scotch Edge," where it "marches" with the property of the Duke of Roxburgh. In this district the boundary line between England and Scotland usually follows the water shed (or, as Dandie Dinmont [a character in Guy Mannering by Sir Walter Scott, 1815] expressed it, "the tap o' the hill, where win and water shears") between the valleys of the Teviot and Bowmont on the Scotch side, and those of the Rede, Coquet, and Breamish on the English. Roxburgh, where, according to the contention of the Scotch, the march leaves the "tap o' the hills and bauds down by the Syke" in which the Coquet rises, thus cutting off the Plea Shank, which, like Dandie Dinmont's ground, "lying high and exposed, may feed a hogg [a sheep up to the age of one year; one yet to be sheared], or aiblins twa [perhaps two] in a gude year." 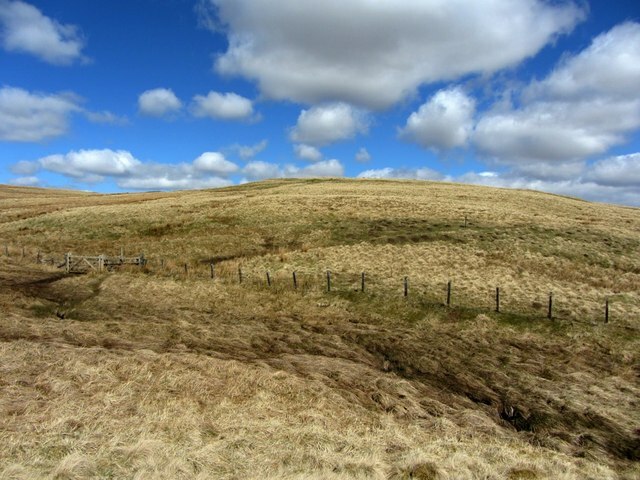 The spot is familiar to antiquaries, for the ancient Roman Camp, "Ad Fines", now known as Chew Green, lies just below it, and the Roman Road of Watling Street [Dere Street] here crosses the moors into Scotland. For the sake of peace it had been arranged, at some former time, between the owners and occupiers, that half the Plea Shank should be pastured by each party. But when the Ordnance Survey came to be made, the Scotch revived their claim to the whole, and by some means or other contrived to win over those who were conducting the survey. Little more was heard of the matter till the maps were issued, showing the boundary between England and Scotland drawn along the English side of the debatable ground. Then the English tenant was politely invited by his Scotch neighbour to keep his sheep on his own side of the new boundary. On hearing this, Mr. Carr took steps to obtain all possible evidence from ancient maps and documents in the British Museum and elsewhere ; and instructed his tenant to turn a few sheep on to the disputed land in the meanwhile. to the Plea Shank?" "Oh, no, sir," was the answer, "I just wysed on [used] fifty score!" old " batable" character were published. The name 'Plea Shank' doesn't appear to have made it onto the 1st edition map although there is a 'Plea Knowe' on the border further away to the north-east, and another 'Plea Shank' near the line of Dere Street (formerly recorded as Watling Street) but on undisputedly Scottish land in the Borders, much further north. 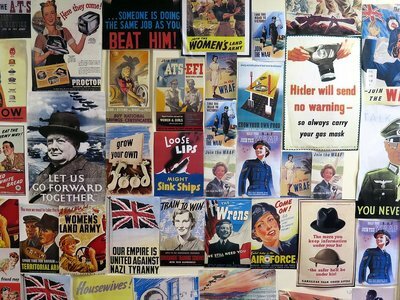 'Victrix', Taberna Close, Heddon on the Wall. Photo A Curtis (2018). 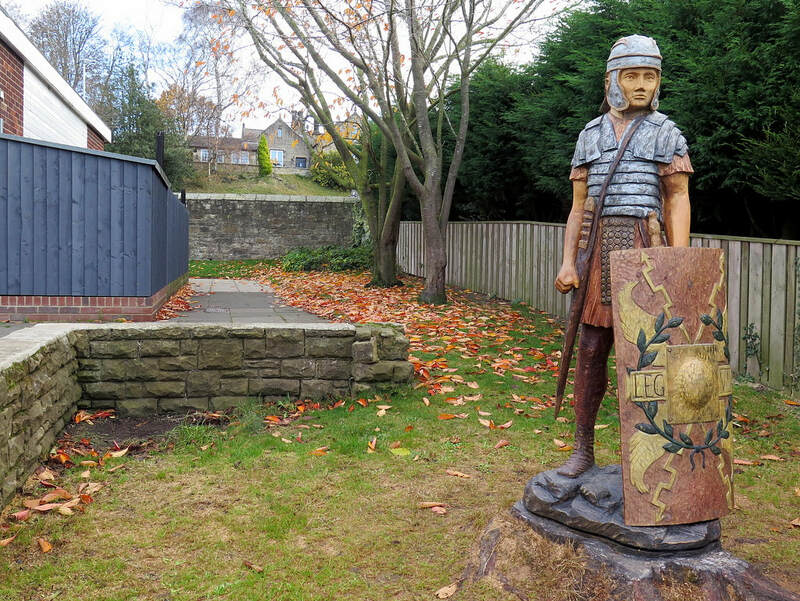 A life-size sculpture of a Roman Centurion carved from the trunk of a diseased and dying horse chestnut tree by Consett tree sculptor, Tommy Craggs. 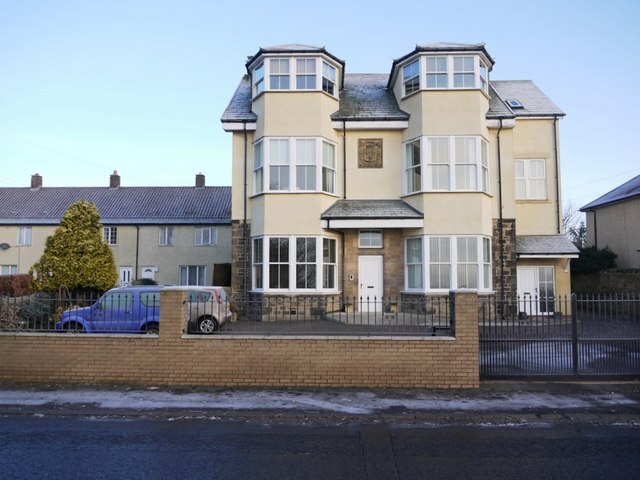 It is situated opposite the shops, Dingle Dell cafe and the children's nursery at Taberna Close. The carving took place in October and November 2018, with money for the project raised by a local group, 'Heddon Branches'. The name comes the Fourth Cohort of the Twentieth Legion, Valeria Victrix (Valiant and Victorious), who are known to have built part of Hadrian's Wall in the Heddon area about 121AD as shown on a building stone found in 1807 in the vicarage at Heddon but now lost. 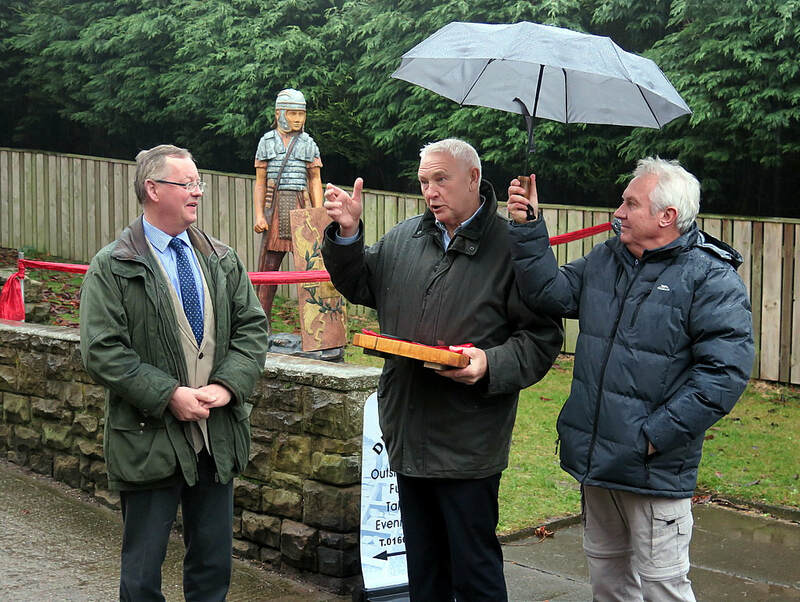 The official unveiling of the statue, hosted by Dingle Dell cafe, was held on 22nd November 2018. 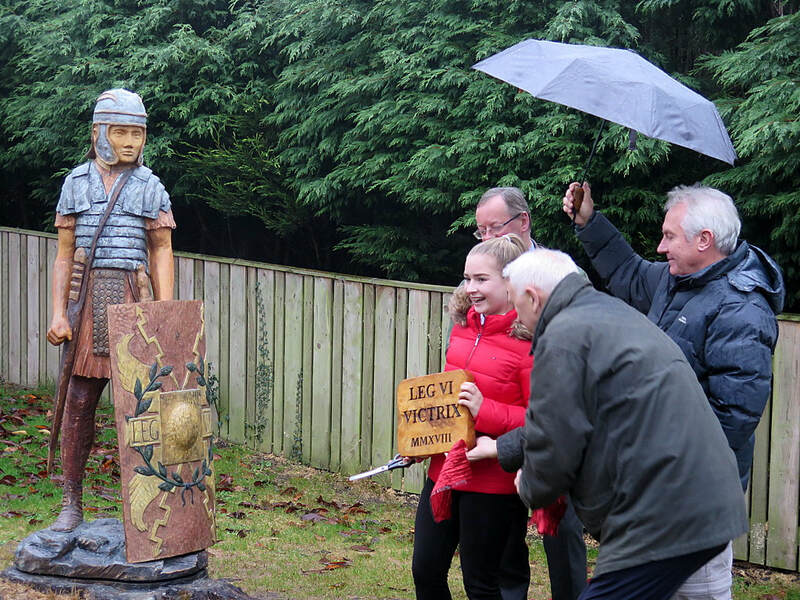 On a wet afternoon, the ribbon was cut by local resident Emily Taylor who had painted an inspirational picture featuring a Roman soldier in a tree. The most interesting place name that appeared on the first edition Ordnance Survey map of Heddon on the Wall is 'Haddocks Hole'. The name is applied to all houses on trace No. 5 in the village of Heddon on the Wall. 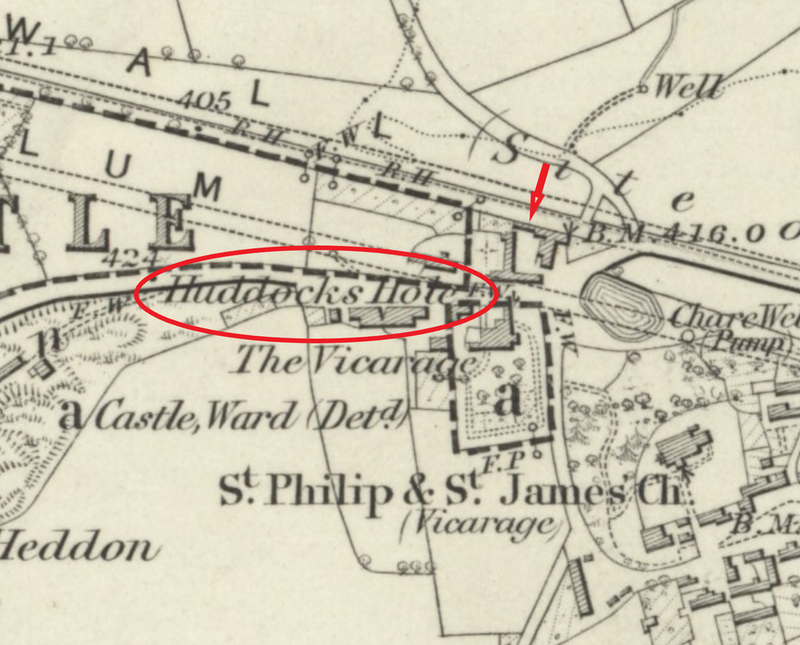 Without the draft map we can't be sure which houses the name actually refered to but later oral memories indicate that it was certainly applied to the cottages just west of the Three Tuns Inn between the Hexham Road and Military Road. They were demolished in the mid 1950s, creating the small car park at the side of the pub, open onto both roads. 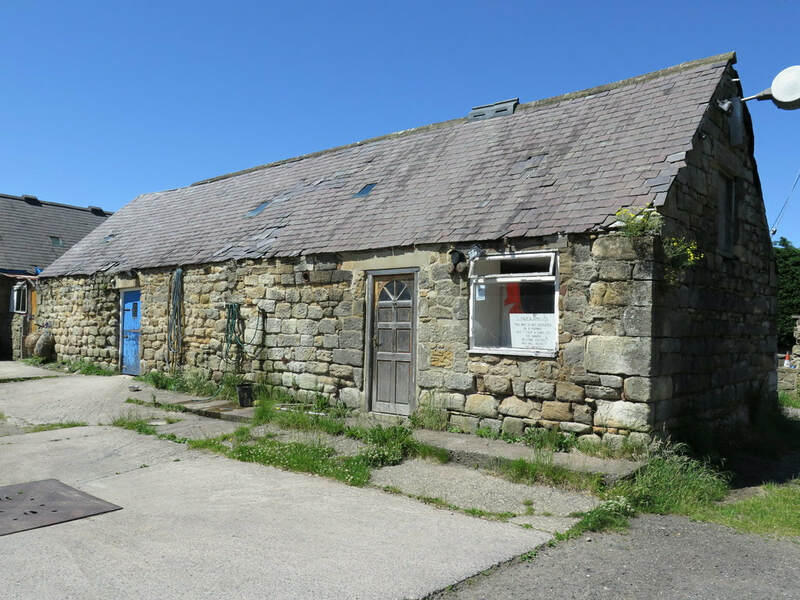 The Co-op building, formerly a smithy, adjoining the south side of the inn, was reduced to a short stub at the same time. The authorities for the place-name can however be identified. A directory of 1855, for instance, tells us that John Armstrong was the farmer at Bay's Leap, whose farmhouse was originally to the north of the Three Tuns. He died on January 21st 1886 aged 65 years. There were several families with the surname, Charlton in the village at the time of the survey. John Charlton, a Joiner & Cartwright, died April 12th 1870 aged 59 years. In 1855, Jane Hogg is shown as victualler at the Three Tuns Inn; her husband, Thomas Hogg was a blacksmith and took over the Three Tuns when she died in 1860. He died on August 5th 1863 aged 60 years. The larger scale map (25" to a mile) moved the name to the west of the Vicarage on the south side of the Hexham Road. Later editions ommited the name altogether. 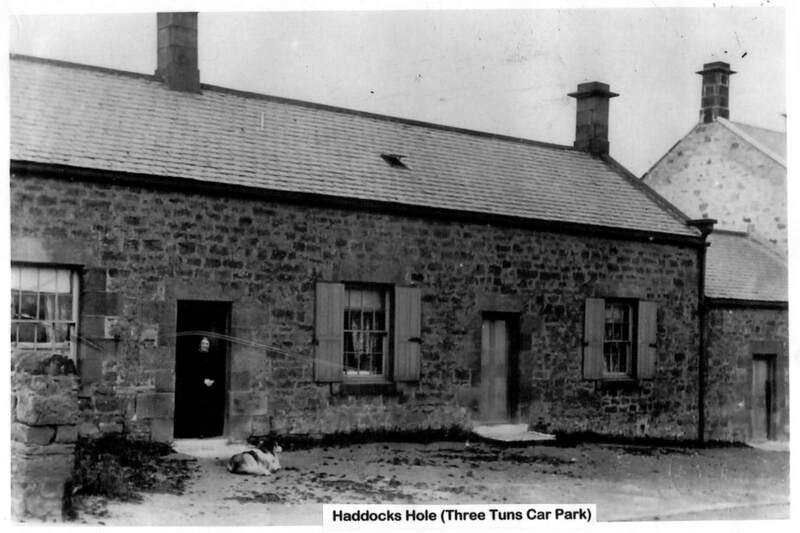 We only have a single photo of Haddocks Hole showing a short row of single storey cottages. Roman 'centurial' stone, St Andrew's Church, Heddon. Photo A Curtis (2018). Having taken part in the pilot study of the Hadrian's Wall Stone Sourcing & Dispersal Project I thought I would try to find out a little more about the Roman stone shown above. 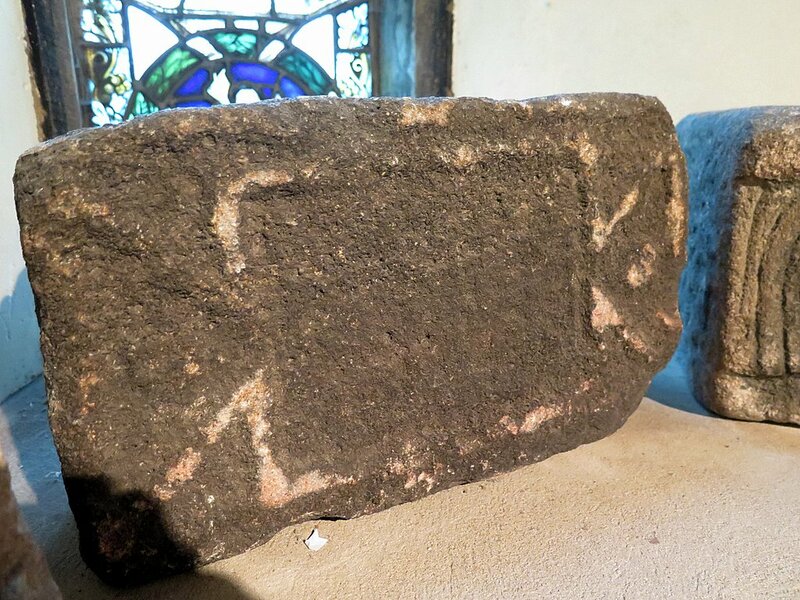 Along with two other carved stones (probably not Roman), it sits on the inside window-ledge of the window at the west end of the north aisle, inside the little meetings room divided by glass panels from the bulk of the church. 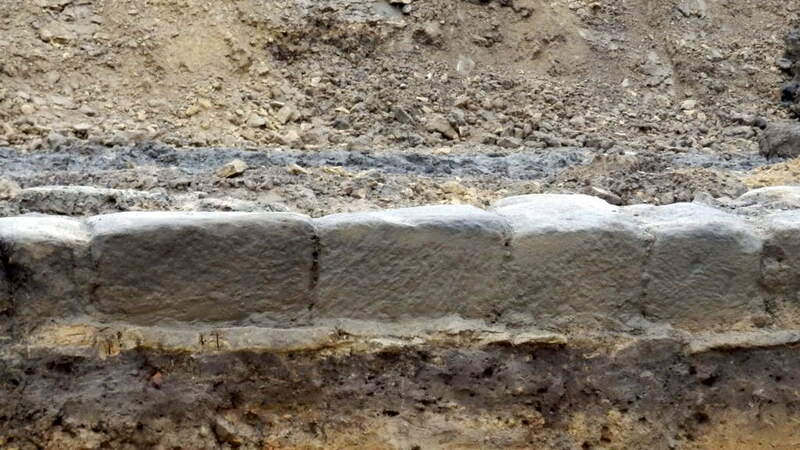 It appears not to have an inscription but its size and moulding bears much resemblance to other stones found along Hadrian's Wall which record the particular centurial unit involved with building or maintaining a specific length of the Wall's fabric. Royal French Arms, Throckley. Auty Series postcard. I was contacted recently by Marian Rowley asking if I knew the date of an old photo on this web site - a black and white version of that shown above. It is a postcard of the Royal French Arms, a former pub on the Hexham Road. It's actually in Heddon on the Wall (despite the postcard caption) but right next to its eastern boundary with Throckley. She was interested as she had seen the name of Alexander Waters, the licensee, over the doorway. A relative of Marian's of the same name, Alexander Waters, had been landlord of the Engine Inn / Locomotive Inn in Walbottle for many years. His son in law, John Armatage, was landlord, of the Three Tuns in Heddon on the Wall, as also was his father. Alexander Waters died in 1911 and Marian told me that records showed that he was at the Engine Inn at that time as he had been since about 1871. She was wondering if the licencee of the Royal French Arms was another Alexander Waters or the same man as her relative. A date for the photo might help. Royal French Arms. Photo A Curtis (2011). Former Frenchman's Arms. Photo A Curtis (2011). The 1901 Census does show that John Armatage (born 1866 (was innkeeper at the Three Tuns, living with wife Mary (b.1871) and two children, Alex (b.1893) and Annie (b.1901). They had two servants. However, in 1911, the Census shows that Richard Thompson (68, Burnopfield) had succeeded John Armatage (b.1866) as publican of the Three Tuns Inn. John Armatage (now 46) was at that time at The Royal French Arms at Frenchman's Row. He is described as Manager of the Licensed House. 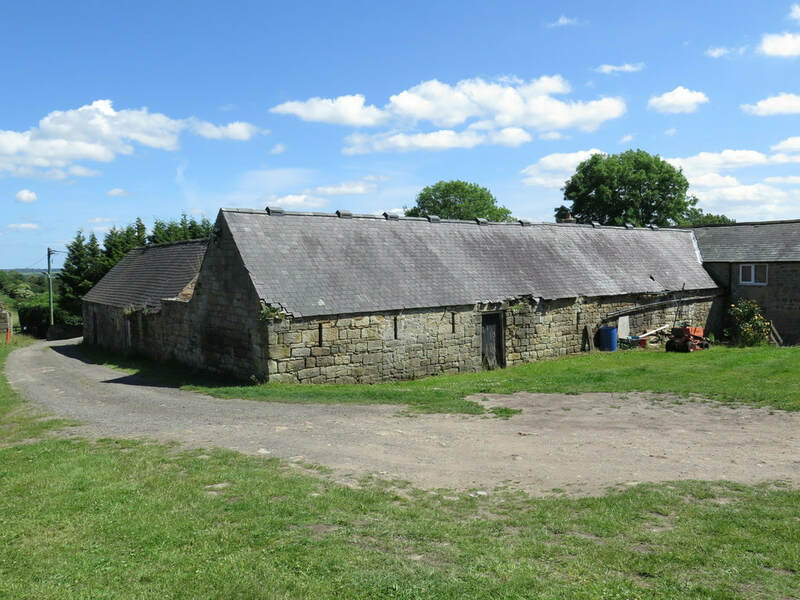 His brother, George Armatage (b.1852 in Wylam) was working as a blacksmith and horseshoer and lived with his family in a property identified on the 1911 Census as Quarry House, Houghton. 1901 has them living in Common House which was probably the same property (on the edge of Heddon Common). His son, George (23, Heddon) was in the same business. Another son, Robert Armatage (19, Heddon), a postman, was to be a casualty of the First World War. 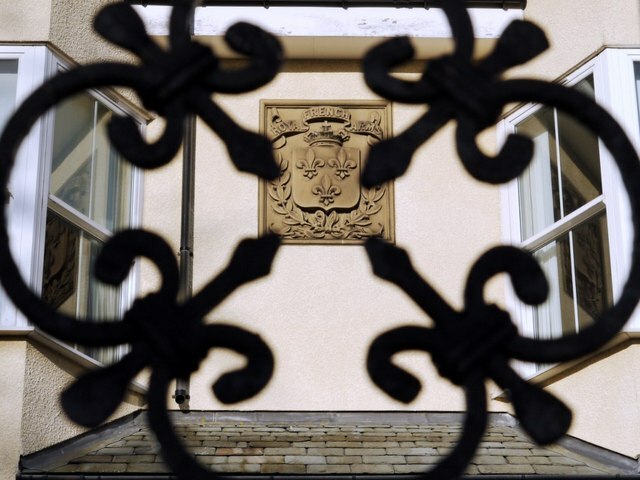 The Royal French Arms was built in 1897 close to the site of a former beer-house which stood at the east end of the terrace known as Frenchmen's Row. The new inn was built much closer to the Hexham Road and the postcard photo must be later than that year. The public house has now been converted into apartments with the name 'Royal French Court'. Matthew Auty who founded Auty Ltd. died in 1895 but some postcards in the Auty Series seem to date from early 1900s, even up to 1910 or later. The initials G.H. and W.B. refer to Godfrey Hastings who took over the business in Whitley Bay. Prior to 1899, British postcards were commonly 4.75 x 3.5 inches (115 x 89mm), known as court cards. A standard size of 5.5 x 3.5 inches (140 x 89mm) was introduced in 1899. The postcard shown above is standard size, although of course the photo itself could have been taken earlier as Auty's original plates were re-printed. Marian kindly provided the following information. Alexander Waters Snr., born in 1813, was the brother of my great-great grandmother, Jane Waters. He married Hannah Nesbitt in 1838. They lived in Walbottle and had five children [known of] that survived into adulthood. Alexander Snr. died in 1887 and in 1901 Hannah was living at Mount Pleasant in Throckley. Their son, Alexander Jnr., was born in 1849 and in 1869 he married Jane Maughan who was born in 1852 in Newburn. In 1871 Alexander, Jane and daughter Mary Hannah were living at 20 New Row in Walbottle. Alexander was a coal miner. In 1881 Alexander, Jane and Mary Hannah (aged 11) were living at the Engine Inn where Alexander was the Innkeeper. Mary Hannah Waters married John Armatage in 1890. The original pub was called the Engine, being associated with the nearby colliery stationary engine. The name changed to Locomotive Inn during the 1870's. Evidently the original pub building was demolished in 1907 with a new building being erected next door. At that stage the 'new' pub was named Locomotive Inn. In 1948 W.B. Reid acquired the pub from the Duke of Northumberland's Estate and it was renamed Engine Inn. It was taken over by Scottish & Newcastle Breweries in 1959 and became the Original Masons in 1991. Source: Steve Ellwood. In 1891 Alexander, Jane, son Edward and daughter Anne were living at the Locomotive Inn where Alexander was the Innkeeper. In 1901 Alexander, Jane and son Edward were still living at the Locomotive Inn. Jane Waters nee Maughan died in 1910. Alexander Jnr. died 12 Feb 1911. WATERS Alexander of The Engine Inn, Walbottle, N'land, publican, died 12 Feb 1911. Probate Ncle/Tyne 15 May to John Armitage publican. Effects £6992. 2s. 8d. Re-sworn £8127. 2s. 8d. 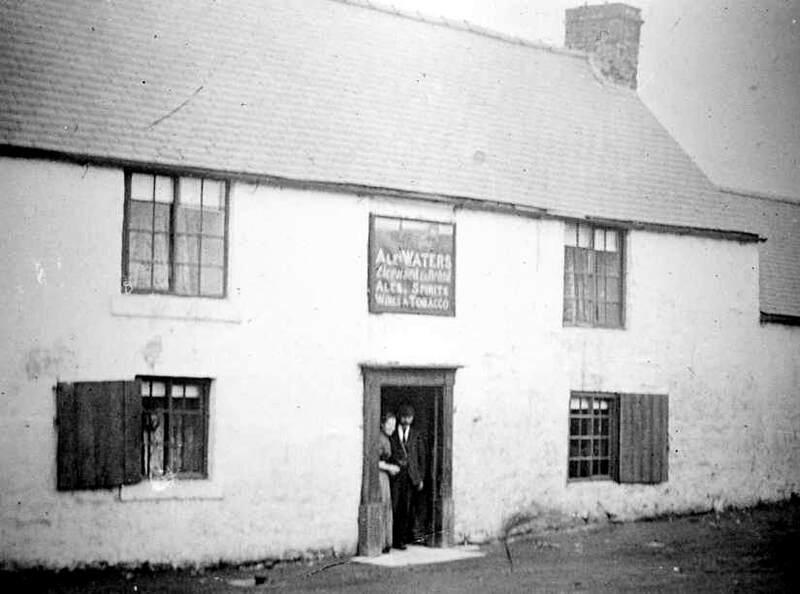 John Armatage lived at the Three Tuns all of his life with his parents and when he married Mary Hannah he became the 'publican' and remained there until at least 1901. There are several other ‘Alexanders’ in my family named after Alexander Snr. but I can find no other Alexander Waters that could have been the publican at the Royal French Arms. Alexander Jnr. may have taken over the RFA after 1901, had his name inscribed above the door and then at some time before 1911 returned to the Engine Inn leaving John Armatage, his son in law, to manage the pub. 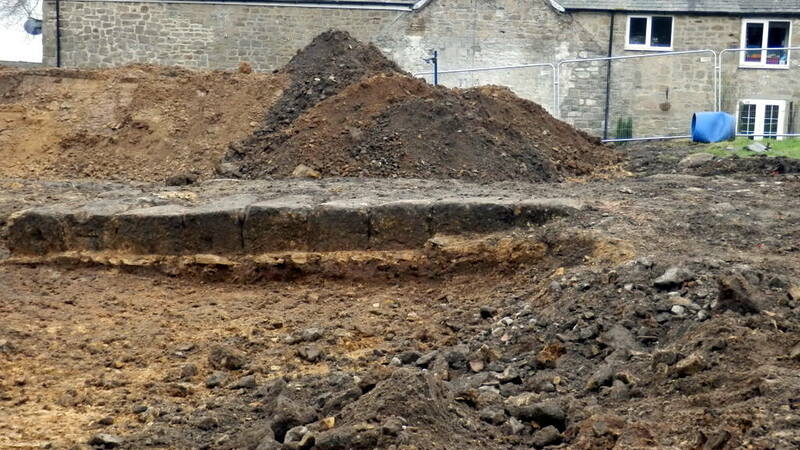 Marian speculates that this might have taken place in 1907 when the Engine Inn was demolished. I've attached a photo of the Engine Inn with Alexander Jnr. and Hannah in the doorway. Engine Inn, Walbottle. Photo courtesy Marian Rowley. John Armatage and Mary Hannah Armatage were living at Elm Lea House on Hexham Road at the time of the pre-war census in 1939. Also living there was their daughter, Annie Armatage, and nephew, Edward Waters. John was described as a retired blacksmith and Edward was working as a screener at one of the collieries. John Armatage died in 1946 and Mary Hannah Armatage (nee Waters) survived until 1958 (aged 89). Edward Waters died in 1949. Annie Armatage, still living in Elm Lea, died a spinster in 1994 at the age of 93. Armatage Mary Hannah of Elm Lea, Hexham Road, Throckley, widow, died 14 Dec 1958. Probate Ncle upon Tyne 17 Feb to Annie Armatage, spinster, and John Matthew Tingate, colliery bath attendant. Effects £3127. 12s. Incidentally, Joseph Waters Spence, Mary Hannah's cousin and another Throckley lad, was a superstar who played for Manchester United. He was known as Joe Spence, born in 1898 and died in 1966. There is a lot of info about him on the internet and he ended his days coaching and scouting under Sir Matt Busby. 'The Original Masons', Hexham Road, Walbottle. Photo A Curtis (2013). Our current best guess for the date of the Auty Series G.H. W.B. 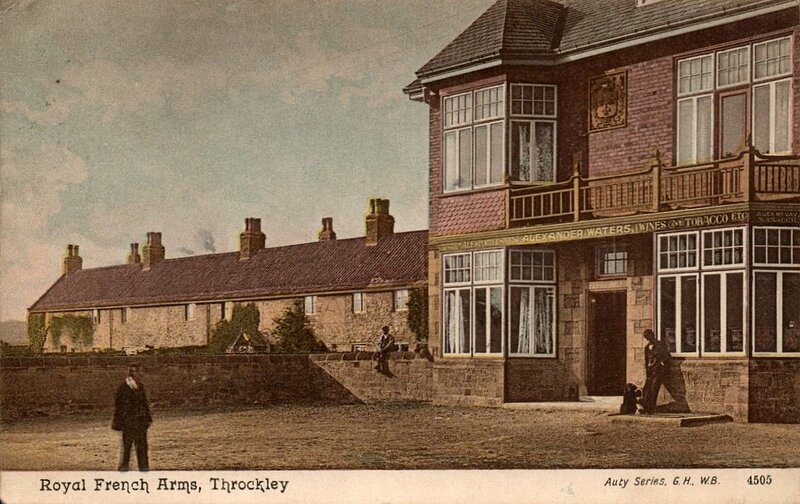 #4505 postcard of the Royal French Arms, Throckley is around 1900. Please let me know if anyone has a more accurate date. 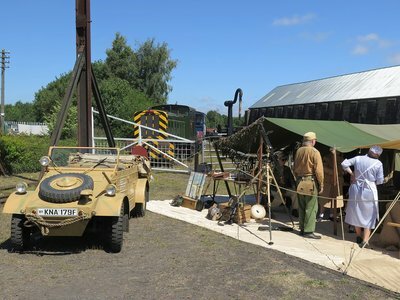 Some photos from Bowes Railway Museum and the Springwell 1940s weekend. The illustration above of Wylam Bridge by R P Leitch was made for the 3rd edition of Samuel Smiles’ book, The Life of George Stephenson, published in 1868. It shows an industrial village with a coal mine and iron works along the northern riverbank and few buildings higher up in the village, including the colliery school built in 1854. Between the colliery pumping engine and the blast furnace stand the buildings of Wylam Mill, with another tall chimney. Smiles described the village at he saw it. 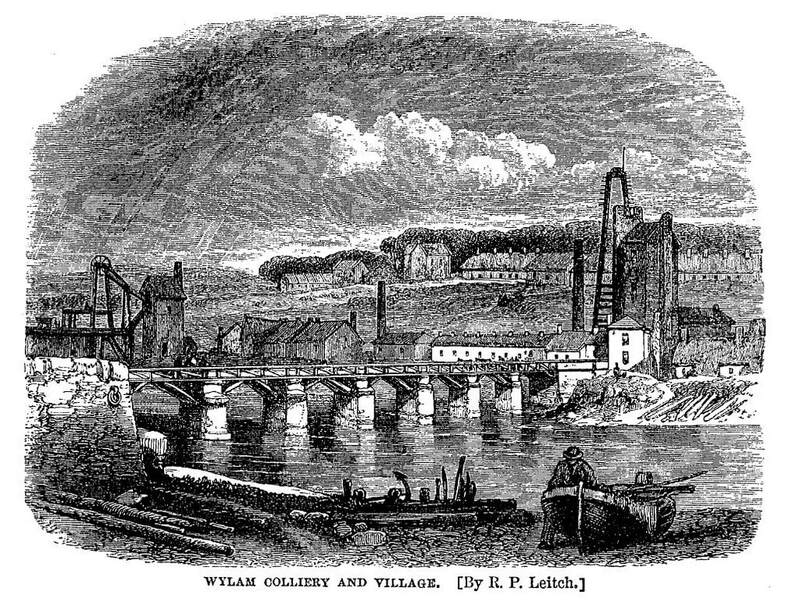 The late 18th century had been a period of prosperity for Wylam – the colliery was thriving and an iron works, a lead-shot manufactory and a brewery were all established in the village. 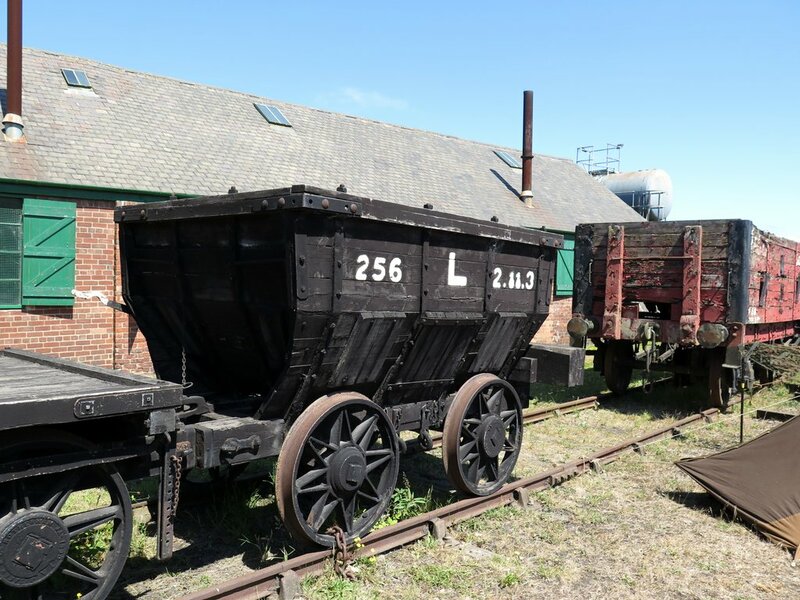 In the mid 1750s, Blackett, the colliery owner had had the Wylam Waggonway constructed to transport coal from the Haugh Pit to Lemington, originally using horse-drawn wagons, but in the early 1800s using some of the earliest steam locomotives including Puffing Billy and Wylam Dilly. 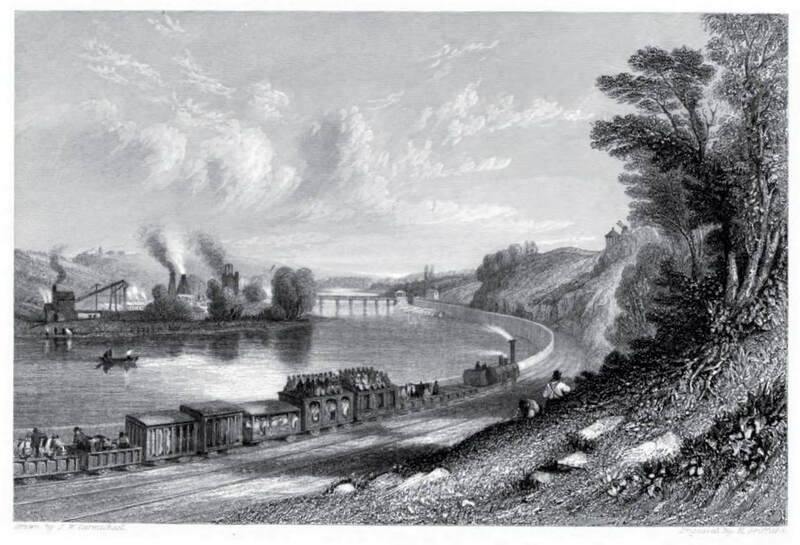 Benjamin Thompson established the Wylam Iron Works in 1835; one of its blast furnaces can be seen on the right, close to the location in Falcon Terrace where the school was built in 1909-10 (now the library and railway museum). 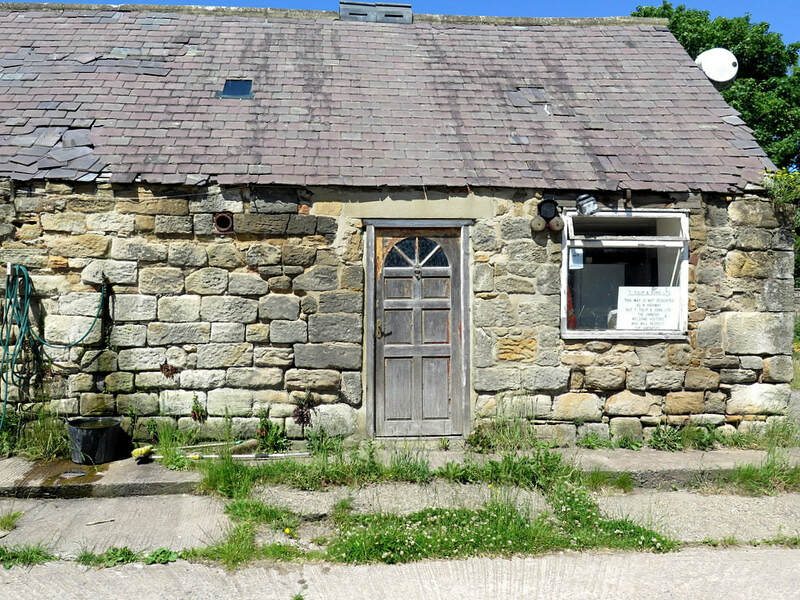 Few remains of this industry can still be found, although many of the garden walls in Wylam’s Main Road are built of slag. In 1825, he became a director of the Newcastle and Carlisle Railway and surveyed the route for the line, supervising the later stages of its construction between 1833 and 1835. 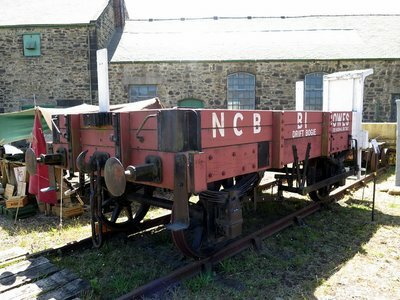 At the iron works, locomotives were built for several years and in 1836 he was responsible for the erection of Wylam Bridge to link the village (and his works) to the new railway. 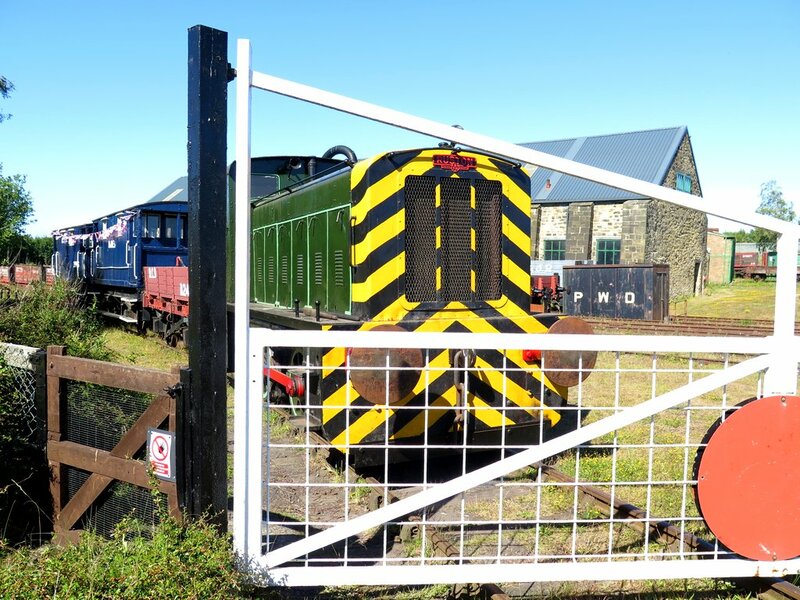 It was originally a combined road and railway bridge with a timber deck supported on stone piers. It was funded by public subscription and tolls. 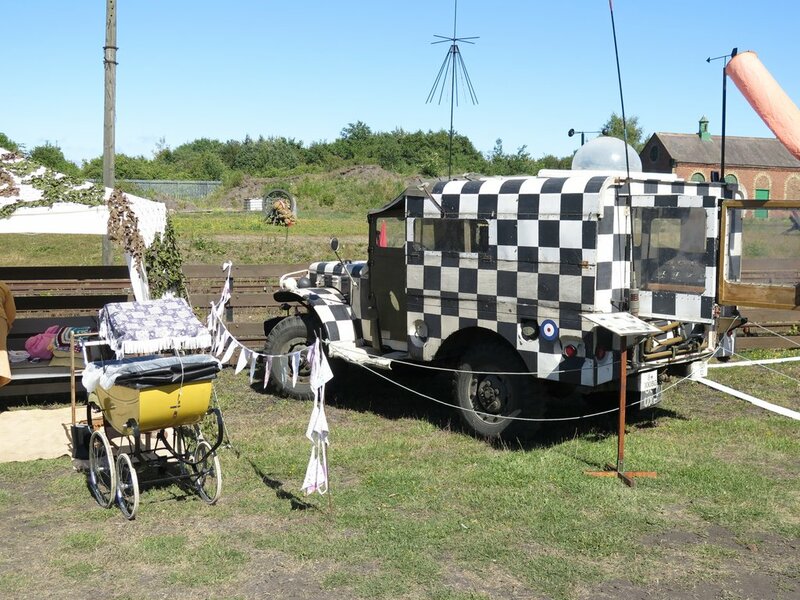 This replaced a small ferry boat and earlier, often hazardous ford. 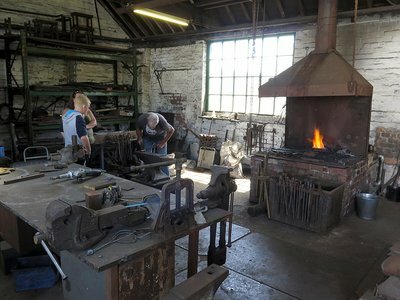 In 1864 the iron works closed. Four years later the colliery was closed, Haugh Pit below the river flooded for the last time. The brewery ceased to operate sometime in the 1870s. In 1876 Wylam Mill was modernised and converted into a steam mill. In 1931, most of its buildings including its chimney were destroyed by fire although the former Mill Stables is now the new Co-op store. In 1876 the Scotswood, Newburn and Wylam Railway was completed with its arch-rib designed bridge at Hagg Bank, too late for much of Wylam’s industry. The track of this railway, serving a new station at North Wylam, was built along much of the course of the old waggonway. The timber decking of Wylam Bridge was replaced with steel in 1897 when the bridge was no longer in use by rail traffic. It was again replaced in 1946. 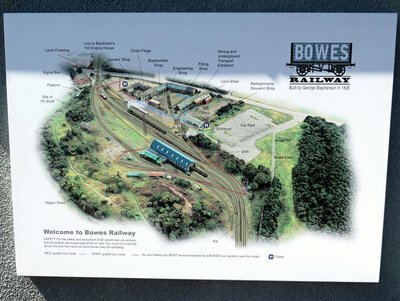 In 1960 the bridge still had an old tollhouse at the south end where the station car park entrance is today, although the company had erected a new one at the north end in 1899. The house sports a Puffing Billy weather vane on its dormer window. Pedestrians were charged one penny to cross but an agreement between the landowner and the bridge company allowed free passage to some of the well-off residents. Opposition to the tolls led eventually to its acquisition by Northumberland County Council and it was freed from toll in 1936. 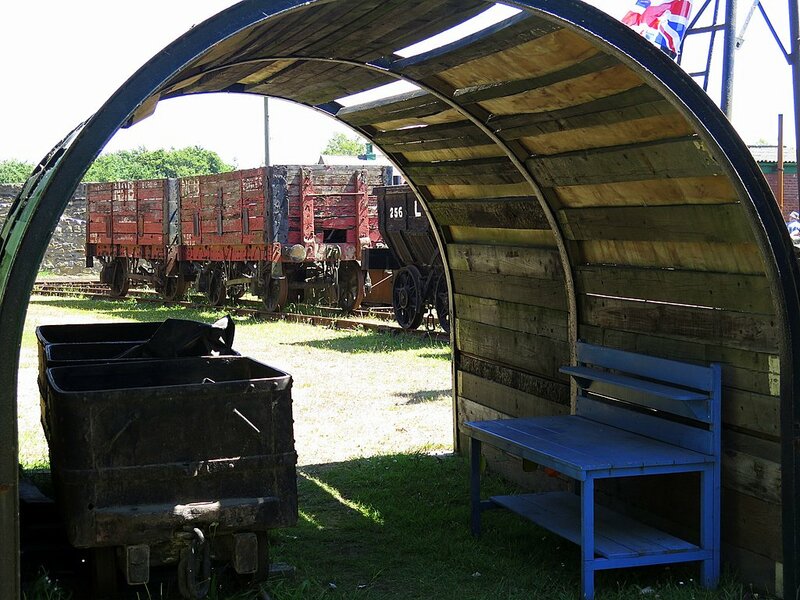 In 1942 strengthening and widening was carried out by the Ministry Of Transport so that it could be used by tanks. Flood damage and erosion forced replacement of two piers in the 1950s and the bridge was widened in 1959 to 24 feet, including a 6 foot wide path. 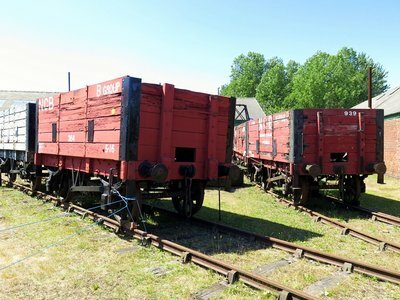 A weight restriction of 9 tons was imposed in 1960, later raised to 10 tons. Following concerns over the safety of the railings following impact by cars, the bridge was closed for several weeks in 2007 for safety improvements. 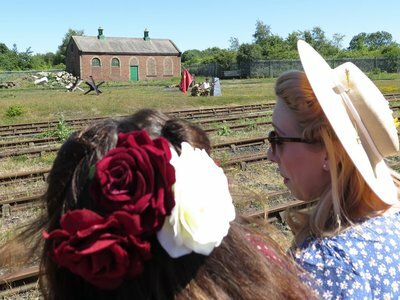 The decline of industry in the 19th century led to a substantial change in the character of the village. By the 20th century Wylam was almost entirely a residential settlement, its transport well served by two railway stations. The length of river bank east of Hagg Bank is known as Wylam Scars and it was here that work on the Newcastle-Carlisle railway began in 1831. The scene was delightfully illustrated by J.W. Carmichael in one of his famous views of this railway. This was the first cross-country line to be built and the first section, between Blaydon and Hexham, opened on March 9th 1835. 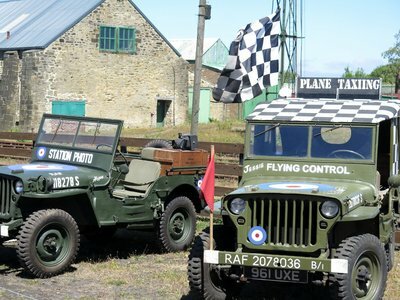 Wylam History Walk on ViewRanger, free navigation app for mobile phone.